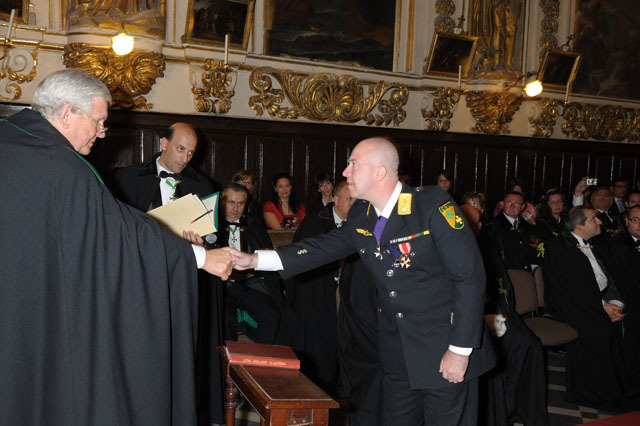 In a formal investiture of the Hospitaller Order of Saint Lazarus of Jerusalem which was held in May 2011 and which was chaired by the Supreme Grand Prior of the United Grand Priories of the Order, H.E. 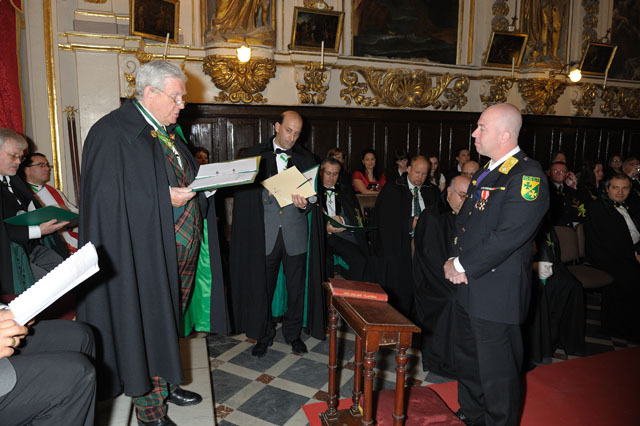 Richard Comyns of Ludston GCLJ GCMLJ, the delegation of Wales of the Order was consecrated with its new Head of Delegation being admitted into the Order and also given his brevet of authority by the Grand Secretary of the Order, Chev. Robin Slack. Traditionally, the Welsh members of the Order were always incorporated into the Grand Priory of England within the structures of the Order. 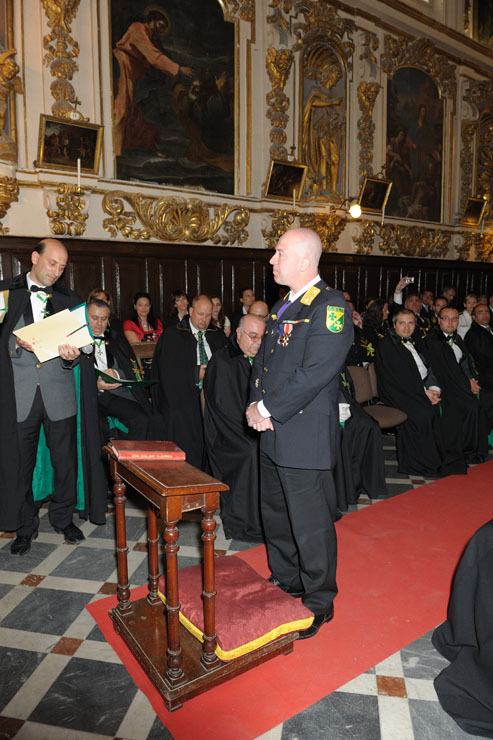 Due to the foreseen increased Lazarite activity in the region in question, the Supreme Grand Priory decreed that Wales should be given its own jurisdiction within the structures of the Order. To this effect, Confrere Dyn Parry was officially named as the Head of Delegation for Wales and, on behalf of the Supreme Grand Priory, we wish him well in his efforts to further increase the Lazarite presence in Wales during the coming months and years.